Autumn Landscape Photoshop Background - Free Photoshop Brushes at Brusheezy! The cool weather is coming, the leaves are a'changing and fall is here! This new Autumn Landscape Photoshop Background is the perfect way to bring in the new season and celebrate one of the prettiest times of the year! Included in this pack are the .psd file, .png file, as well as a .jpeg so that you'll have everything you need to finish your project, whether it's an autumnal greeting card or a new look to your blog! 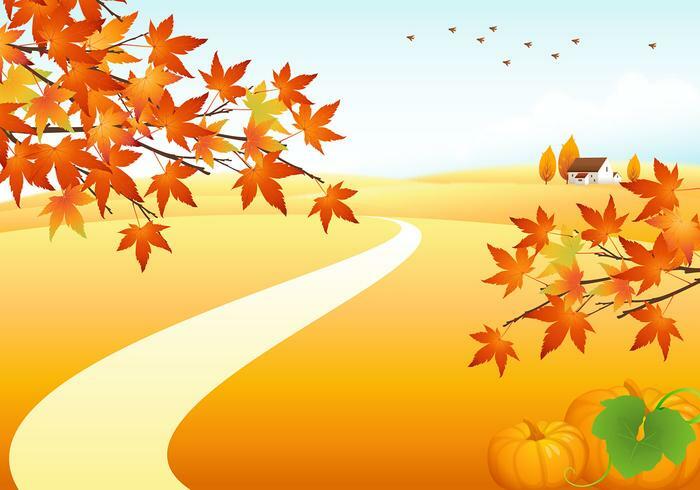 Head over to Vecteezy for the vector file and download the <a href="http://www.vecteezy.com/Backgrounds-Wallpaper/35959-Autumn-Landscape-Vector-Background/premium">Autumn Landscape Vector Background</a>!